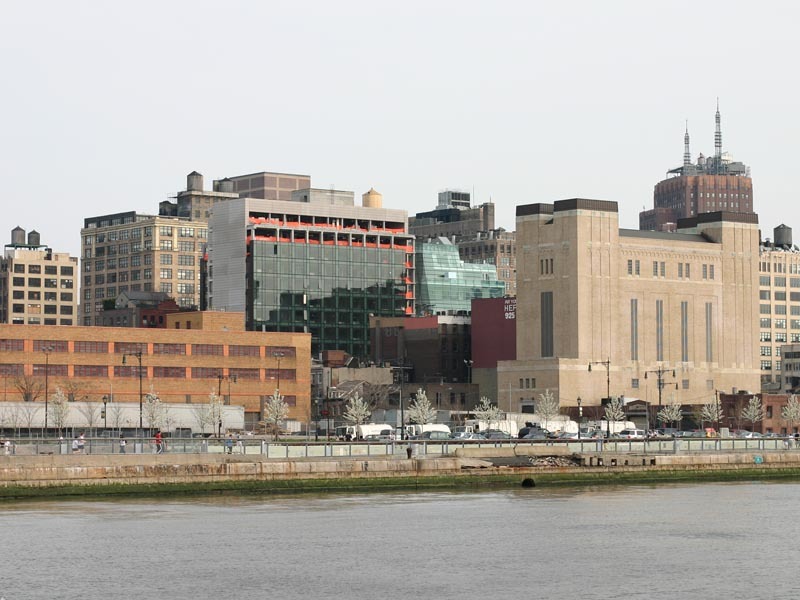 505 Greenwich – MHP in partnership with Synchron Corporation is developing this $82.5 million, 102 unit, 14 story condomonium project in western SoHo, New York, NY. Construction began in Summer 2003. The project design team includes Gary Handel & Associates as architect and DeSimone Consulting Engineers as structural engineer. 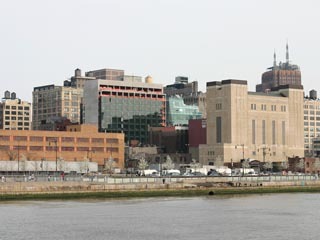 Construction of 505 Greenwich Street nears completion, 497 Greenwich to the right. 18 April 2004. 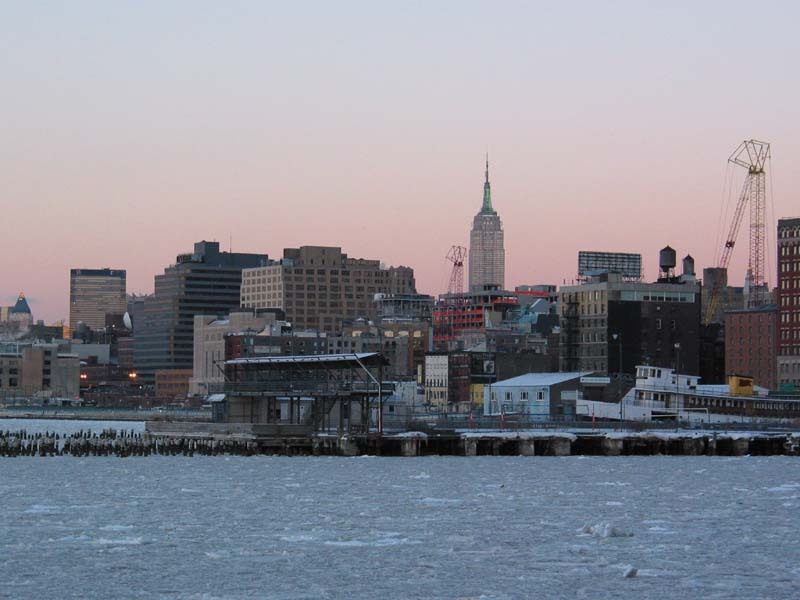 Hudson River in ice, Hudson River Park’s Pier 25, Empire State Building in the colors of Dr. Martin Luther King Jr. Day (Red/Black (no lights)/Green), and the construction of 505 Greenwich Street. 19 January 2004.